Spam Comments Just For Me! Got a comment notification today. A quick glance verified it as spam. Finger hovered over the delete button I noticed a small snipped at the bottom. 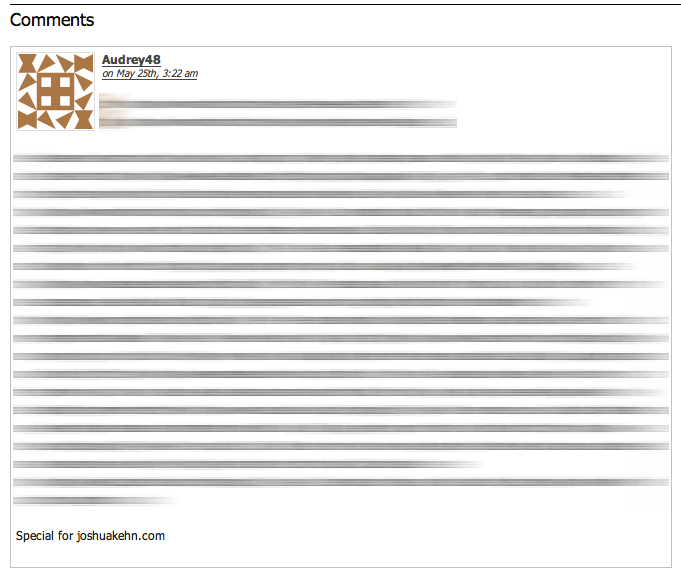 Interesting way to keep track of your keyword and link filled comment spam I guess.